Rachel Roy: I'm loving the use of feathers in her collection, it adds wild texture to simple silhouettes. 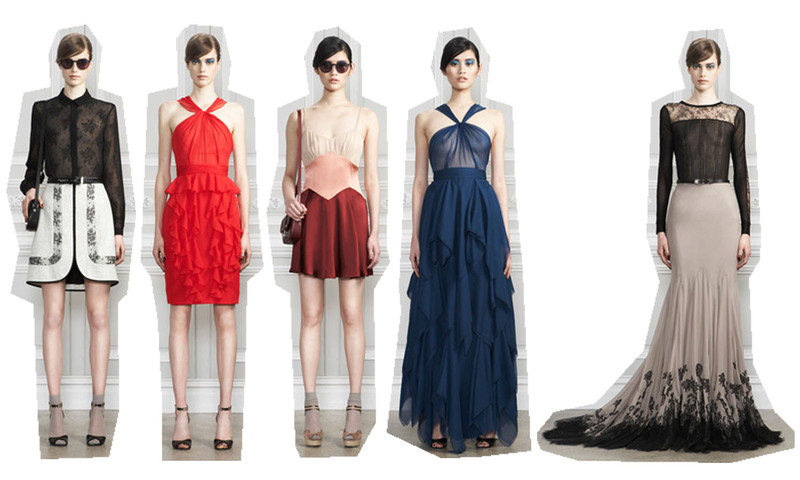 Jason Wu: Wu's Pre-Fall collection is classy to a tee. Love love love the smart elegance, especially the royal blue gown. Nicole Miller: Seeing Miller's structured one shoulder jumpsuit made me fall for this collection. Minimal with draping and structural arms. Love love love.